What do you do when your problem is not theirs? 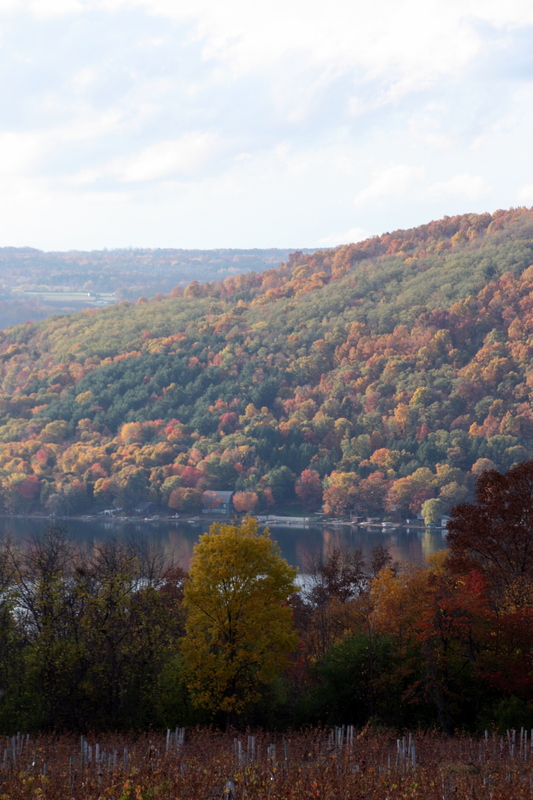 Last weekend, my husband and I, traveled up to the finger lakes region of New York with some friends. 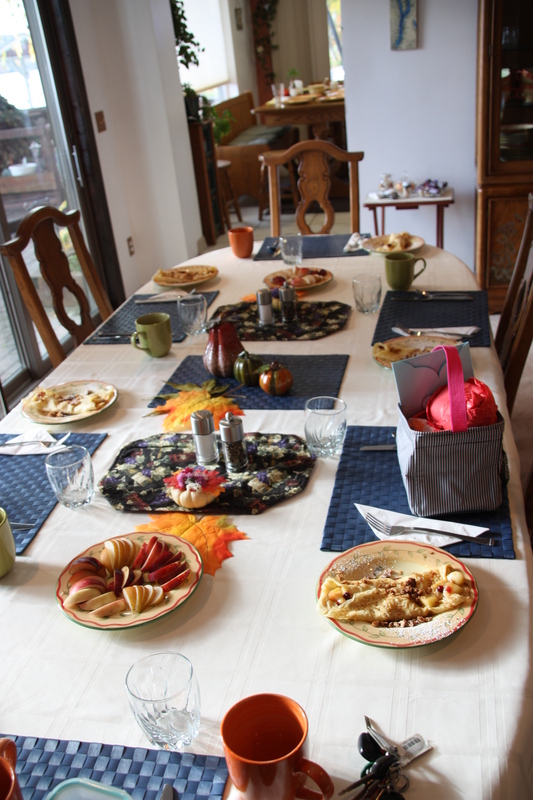 It was the perfect weekend for the fall foliage, so despite my “eating-out” fears, we didn’t want to miss all the fun. My friends are VERY accommodating to my gluten-free eating. Matter of fact, my good friend Cathy, who coordinated the weekend, even had her husband ask if the B&B we were staying at would be able to provide gluten-free menu items for breakfast for me, which she said was not a problem. As a back-up, I called the proprietor, and again she assured me that she has people stay at her house with all kinds of food issues, including gluten and dairy restrictions. I left my house feeling very comfortable staying there, but I brought some Udi’s bread, just as a back-up. The first morning I woke to a lovely apple crepe, but when I asked if the granola on top was gluten-free, she apologetically took the plate back to the kitchen and brought me a new crepe with no granola. Luckily, I brought my own granola and sprinkled that on top. It was such a treat to have someone else make me breakfast, so I enjoyed every bite from that moment on. The second morning I let my guard down. When she brought my eggs over, I devoured them without thinking a second about the sauce on top. She explained to my friend that it was a horseradish sauce, that began with a basic cream sauce. We both froze when she finished her sentence. I was too nervous to ask if it contained flour since I was almost done with my eggs. She exited the dining area in haste without offering the ingredient list for my knowledge. Needless to say…24 hours later, I was stuck in the house, perched close to the bathroom, doubled over with discomfort. Was it her fault? I say NO. It was my responsibility to question every ingredient. 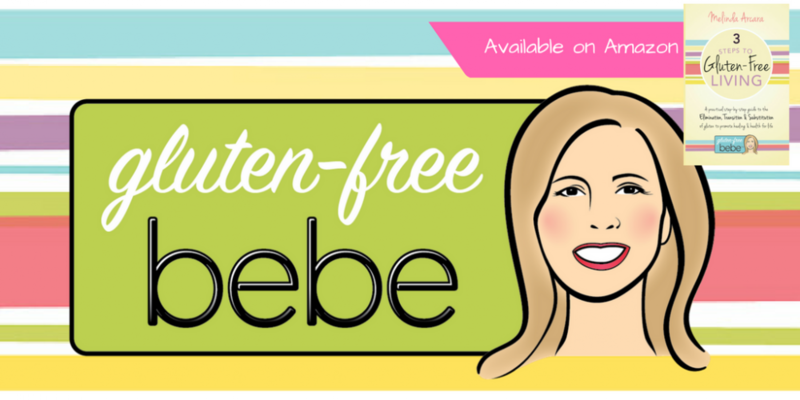 She truly believed that she was good at recognizing what ingredients are gluten-free, but unless you are a sufferer or trained to prepare gluten-free menu items on a regular basis, it’s really hard not to make mistakes. It certainly was a lesson for me. Always question, always come prepared and always assume it contains gluten, unless you ask what the ingredients are.